One thing that makes Google Project Fi one of the best, if not the best, wireless carriers is its flexibility when it comes to data services. If you are using a wireless service that forces you to pay for features or rather data that you never get to use, well, Project Fi should be your go-to alternative carrier. What this service actually gives you is an alternative carrier to the many that already exist, allowing you to access stable connections in areas where T-Mobile, Sprint and U.S. Cellular (Three network is also included for those traveling to the UK and Europe) have the strongest coverage. To make it clear, Google Project Fi leases coverage from three wireless carriers in the U.S. and one in Europe. When you are in a zone where T-Mobile has the strongest coverage, Project Fi will use this carrier’s coverage to serve you perfectly. In case T-Mobile’s coverage starts fading away, Fi will automatically switch to using the carrier whose coverage is the best in your new location, be it Sprint or U.S. Cellular. This change happens seamlessly and you’ll never notice a dip in quality of services, be it calls, texting or browsing. If you happen to be in an area where there’s no good coverage for T-Mobile, U.S. Cellular or Sprint, you might want to skip Project Fi, but this coverage limitation might only affect those in dire need of 4G LTE connectivity. When you travel outside the U.S., you’ll keep on using Fi as long as you are in areas with good coverage for Three network. In total, the search engine giant says that Project Fi is available in over 135 countries across the globe. 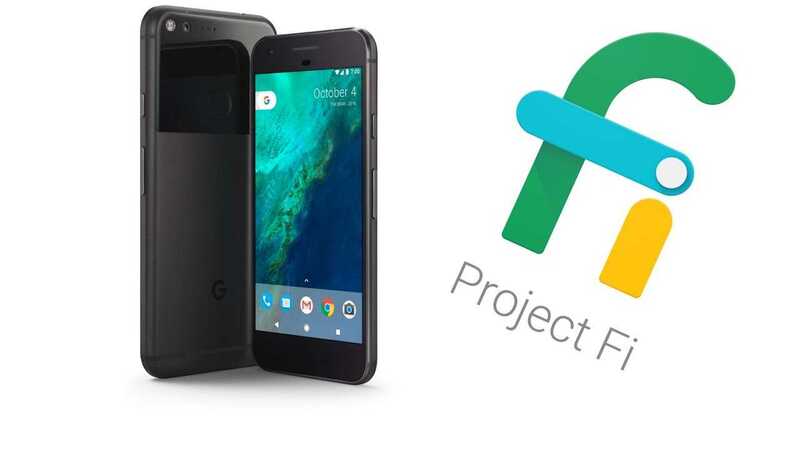 Now that you have an idea of where you can use Google Project Fi, it’s time you know about the plans on offer. Ideally, the service has two plans – single and family. The entry-level package in each plan is known as The Basics. This plan demands a monthly fee of $20 and for this, you get unlimited calls and SMS locally, but as noted earlier, the support for SMS continues even when outside American borders. You can also get a free data-only SIM card for use on an extra device. Since Fi allows tethering, you can actually turn this device carrying the data-only SIM card into a hotspot. Note that The Basics package has no data. To get data, you must pay an extra $10 per month, a fee that earns you 1GB for use within the same period of one month. This data can be used in 135+ countries across the globe. If you happen to use about 500MB during the entire month, Project Fi will refund you the equal of the unused 500MB at a rate of $10/GB. If you end the month on a usage of 1.5GB (yet you’ve only paid for 1GB at $10), the extra 500MB will also be charged at the same rate and added to your next billing. For those with family or maybe a group of friends, you can get additional Project Fi lines and add them to your account. 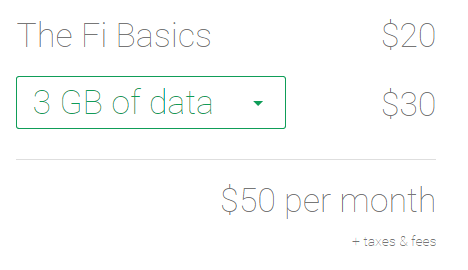 Unlike your original account that charges $20 per month for The Basics package, each extra line you add (up to 5 lines) will be charged $15 per month. To get each line some data, the fee will remain at $10/line per month. When abroad, you still get to enjoy unlimited SMS whereas calls are charged at $0.20 per minute. As for LTE connectivity, it’ll depend on whether your current location has this coverage; otherwise, you’ll have to deal with slightly slower speeds in the said 135+ countries. In short, you’ll still be able to use your monthly data as usual even when outside the U.S.
With all the goodies that Google Project Fi comes with, the service is only limited to the search engine company’s phones (apart from the data-only SIM card). In order to sign up and activate a Project Fi line, you must use any of Google Pixel, Pixel XL, Nexus 5X, Nexus 6P or Nexus 6. This is where this service can be a letdown, nonetheless, we’ve heard close to no complaints regarding the quality of Google-owned devices. It’s possible to bring your own Google device to Project Fi, but you can also purchase one via the official Fi Store. In fact, the Fi Store supports financing of Google Pixel and Nexus devices, allowing you to distribute the cost of the phone over 24 months, but the Fi SIM card remains free of charge. Someone might be asking if it’s possible to keep your current phone number when you finally decide its Project Fi. Well, the service lets you transfer your number from other carriers to Fi, with the search engine giant handling most of the dirty works involved in this process – a process that can take as little as 15 minutes and you’ll be good to go. If Fi doesn’t impress you after a while, you can easily opt out via the official page or app, which can be downloaded from the Google Play Store.